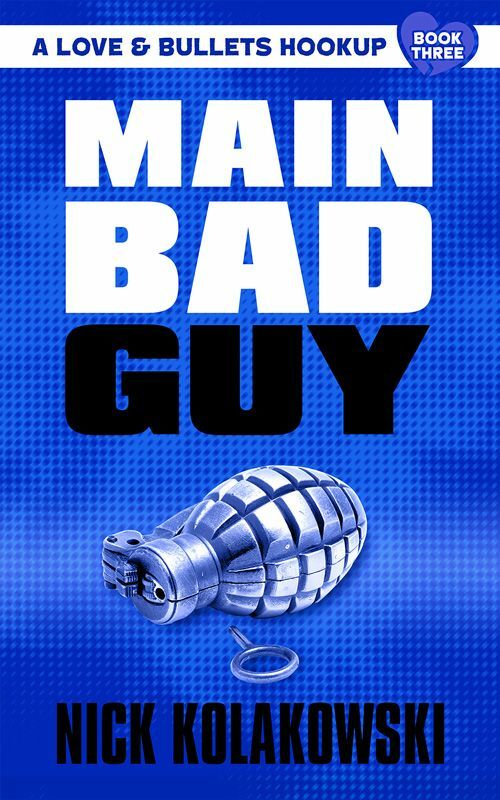 TAMPA, Fla. - Feb. 8, 2019 - PRLog -- Down & Out Books is pleased to announce that MAIN BAD GUY, the third and final entry in the Love & Bullets Hookup trilogy by Nick Kolakowski, is now available from its imprint Shotgun Honey in trade paperback and ebook formats. Bill and Fiona, the lovable anti-heroes of the "Love & Bullets" trilogy, find themselves in the toughest of tough spots: badly wounded, hunted by assorted cops and goons, and desperately in need of a drink (or five). After a round-the-world tour of spectacular criminality, Bill and Fiona find themselves back in New York. But it's not exactly home-sweet-home: Locked in a panic room on the top floor of a skyscraper, surrounded by pretty much everyone in three zip codes who wants to kill them, they'll need to figure out how to stay upright and breathing… and maybe deal out a little payback in the process. Even better, can they make a profit off all this? Main Bad Guy caps a series described as "a Tarantino movie in prose" (Sons of Spade) and "deliciously deranged" (Raven Crime Reads). Nick Kolakowski's writing has appeared in Shotgun Honey, McSweeney's Internet Tendency, Thuglit, The North American Review, Spinetingler Magazine, Plots with Guns, and various anthologies. He lives and writes in New York City. Established in 2011, Shotgun Honey (ShotgunHoney.com), an imprint of Down & Out Books, came onto the scene to provide readers with a regular diet of flash crime fiction. Living by the simple tenet of keeping it lean and mean, over 800 stories from more than 400 authors from around the world have been published to date. In its ninth year as an independent publisher of award-winning literary and crime fiction, Down & Out Books (https://downandoutbooks.com) is based in Tampa, Florida. For more information about the book, to request a review copy of the book, or to inquire about an interview with the author, contact info@downandoutbooks.com.